For anyone involved in or resposible for the safety and well being of the congregation, presbytery, and premises; this training is geared toward you and your efforts. 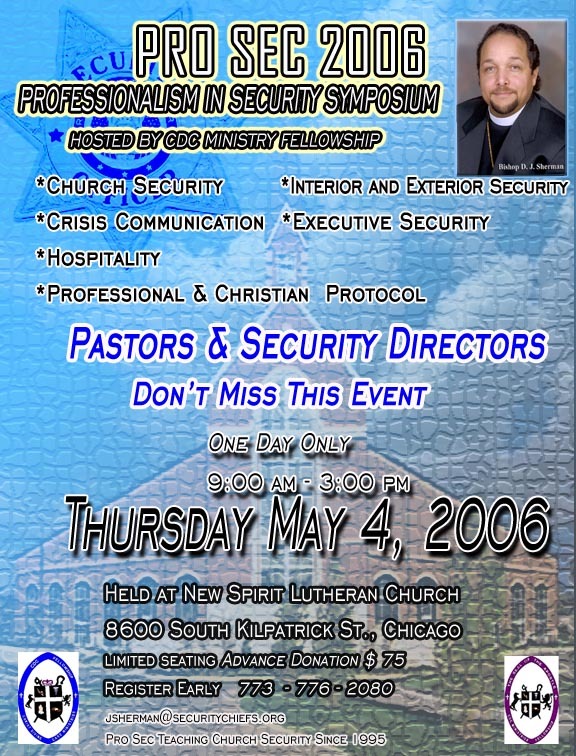 Take out time to attend this one day symposium on church security. Pro Sec was established in 1995 by then Evangelist Sherman, who was director of security for a large church on the southside of Chicago. He has been involved in security in the secular world since 1973. Bishop Sherman is the executive director and chaplain of the Illinois Security Chiefs Association, established in 1960. There is limited seating.